Big, green and incredible—there’s really only two things we could be talking about. The Rolex Oyster Perpetual Date Submariner Lunette Verte ref 116610LV, and the big guy with the anger issues that gave it its nickname, The Hulk. Tricked out with its signature green dial and bezel, The Hulk raised more than a few aficionado’s eyebrows when it was released at Baselworld 2010. 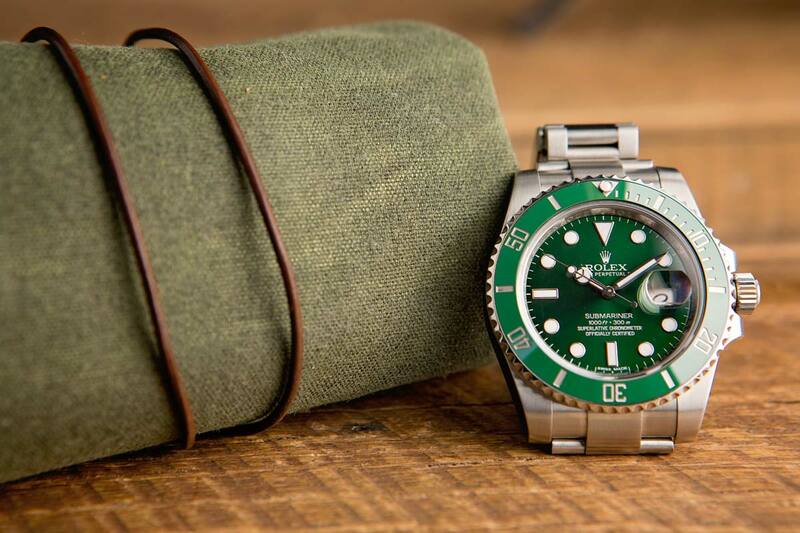 Introduced as a replacement for the Submariner’s 50th anniversary piece, whose green bezel encircled the more traditional black dial, the unorthodox colour scheme of The Hulk caught many off guard on its launch. With the original Submariner being one of Rolex’s most beloved and desirable models, this new variation was seen in some circles as somewhat eccentric and perhaps a little controversial. The Hulk raised more than a few aficionado’s eyebrows when it was released at Baselworld 2010. But, as so often happens with such radical departures from the norm, The Hulk proved itself as just being ahead of its time, and was simply waiting for the rest of us to catch up. Quickly becoming a must-have for serious collectors and the darling of Instagram, the perceived lack of versatility of the Hulk’s colours compared to the match-with-any-occasion black of the original Submariner, has worked in its favour. The Hulk is for people who want to stand out, not blend in. It is now more than merely one of the world’s finest watches and has become a true statement of individuality. That’s not to say the 116610LV is all style over substance; it’s still a Rolex Submariner after all. Dating its history back to 1953, the Submariner was developed to be the ultimate diver’s watch—incredibly tough and ultra-reliable. Over the years, the timelessness of the design saw it become the functional sports watch you could wear to formal occasions. The Hulk continues this iconic lineage. Featuring some subtle but significant upgrades from its predecessor, its distinctive time-lapse bezel is now formed from Rolex’s own Cerachrom, an exceptionally hard wearing ceramic alloy, rather than the aluminum inlay of previous models. Whereas the older style bezels will eventually fade over time, the proprietary corrosion-resistant Cerachrom keeps The Hulk’s distinctive green colours as lustrous as ever, no matter how hard a life the watch has. The bezel’s knurled edging means it can be turned easily even when wearing gloves and it features a luminescent capsule on the zero marker so it can be read in the darkest conditions. The 40mm case is made from 904L steel, cast in Rolex’s own foundry. Usually only found in the aerospace and chemical industries, this superalloy is far more scratch resistant than the 316L steel found in practically every competing watch, and also affords far superior protection against sea water corrosion. 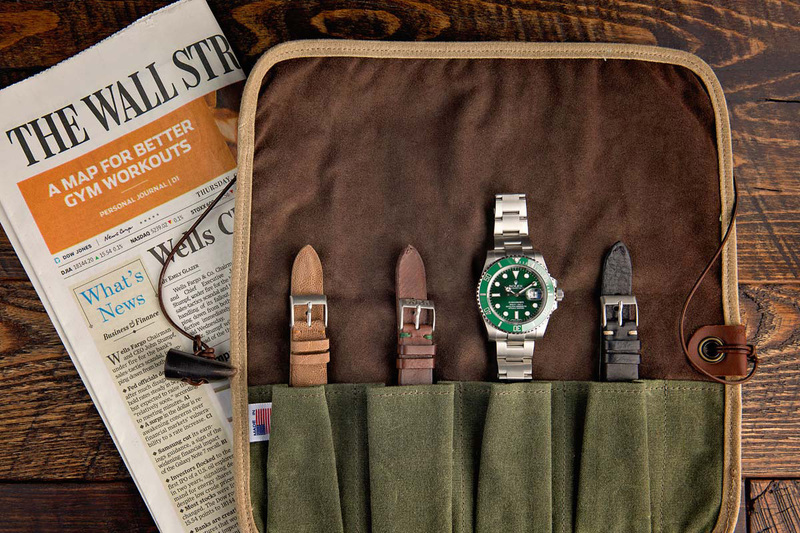 Even if you’re spending more time in the boardroom than diving for treasure on sunken wrecks, the highly polishable steel on the Hulk Sub’s case keeps its sheen as good as new. The 40mm case is made from 904L steel, cast in Rolex’s own foundry. Of course, if you actually are diving for treasure on sunken wrecks, this is the ideal companion. 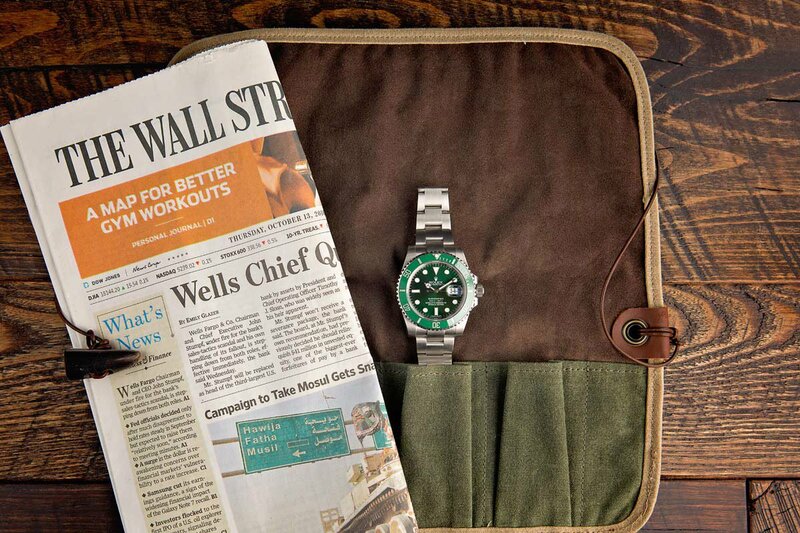 Like all Submariners, The Hulk is rated waterproof down to 300m. The hermetically-sealed Oyster case, a Rolex innovation from 1926, sees the bezel and case back screwed down against the middle case to form an impenetrable shell, and the winding crown’s Triplock triple waterproof system secures the watch like the hatch closing on a submarine. Sitting under all that imperviousness, Rolex’s in-house caliber 3135 is a self-winding movement with a 48-hour power reserve, fitted with a Parachrom Blue antimagnetic hairspring that gives it a greater tolerance to shocks and extremes of temperature. And this being Rolex, each movement is subjected to the stringencies of the COSC standards testing twice. Firstly, at the lab of the Swiss Official Chronometer Testing Institute and again once the movement is fitted in the case. The Oyster bracelet is beautifully contrasted, with the outer links polished to a high shine while the middle ones are left with a burnished finish. It’s an understated, masculine touch that’s perfectly in keeping with the watch’s image and carried over on the milled steel of the Oysterclasp. A solid, substantial piece of precision engineering, the clasp gives you a real sense of confidence in the security of the watch on your wrist and also comes equipped with the Glidelock system that allows for easy, tool-free adjustment of the bracelet in 2mm increments, up to 20mm. Perfect for quickly slipping The Hulk on over a wetsuit or just for those hot days when you want to loosen the strap a hair for comfort. The Rolex’s in-house caliber 3135 is a self-winding movement with a 48-hour power reserve. And so we get to that distinctive dial. What Rolex calls ‘green gold’, the Hulk’s face is an active, dynamic element that changes its hue depending on the light, going from a near black to bright emerald green in direct sunlight. Exceptionally easy to read thanks to the maxi dial’s larger Chromalight luminescent hour markers and fatter hour and minute hands, it remains perfectly proportioned and manages to be both sporty and elegant at the same time. It was an audacious move by Rolex to give their most iconic creation such a dramatic makeover, but it paid off in spades. The demand for the 116610LV far outstrips the supply, putting a premium on the cost of The Hulk and giving them a real scarcity value. Indeed, it’s rare to see one in the wild and when you do, the boldness of the eye-catching design always brings a smile to your face. Loved by those who want to put their own stamp on a timeless classic, Rolex’s big green Submariner is an irresistible combination of strength and beauty.